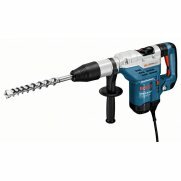 The Bosch GSB 21-2RE 2 Speed Impact Drill is the most powerful tool in its class, for the toughest applications. 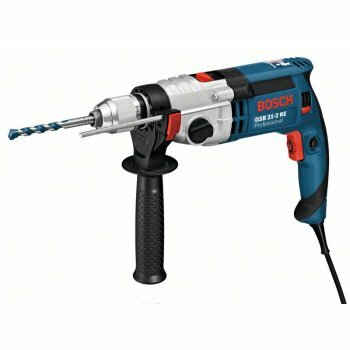 Has a Bosch high-performance motor, with high torque for the most heavy-duty applications with large diameters (drilling, working with core cutters and holesaws), screwdriving and mixing. Robust metal gear housing for a long lifetime and a ant-irotation mechanical overload clutch for a high level of work safety, even in the toughest applications. 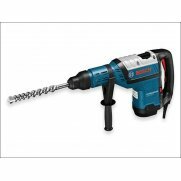 Fitted with a single-sleeve keyless chuck with Auto-Lock for quick accessory changes with only one hand. 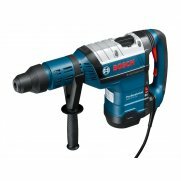 The new safety handle with an innovative attachment and softgrip for a secure hold on the machine. 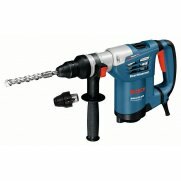 Other features inculde: a speed preselection with setting wheel for precise working, a rotating brush plate for constant power in reverse and forward rotation, ball grommet for high movement radius and for preventing cable breaks and a spindle collar (43mm, European standard) that can be used in drill stands. 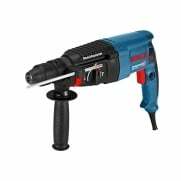 Specification Input Power: 1,100 Watt.No Load Speed : 0-900/0-3,000/min.Rated speed : 0-580/0-1,900/rpm.Impact Rate: 0-15,300/0-51,000/bpm.Torque: 40.0/14.5Nm.Rated Torque: 9.6/3.2Nm.Drill Spindle Connecting Thread : 1/2 inch x 20 UNF.Chuck Capacity: 1.5-13mm Keyless.Capacity: Concrete: 22/13mm, Wood: 40/25mm, Steel: 16/8mm, Masonry : 22/16mm.Weight : 2.85 kg.